Thursday night’s Conference USA culture clash features an experienced, grit-and-grind Old Dominion squad looking to snap the good feeling of a young, run-and-shoot UTSA that heads into Norfolk riding a four-game win streak. With the just three weeks left in the college basketball season, each game takes on added significance with the top teams in the league jostling for position ahead of next month’s Conference USA Basketball Tournament. Thursday night features a stylistic clash between the second-place Old Dominion Monarchs (18-5 overall, 10-2 C-USA) looking to defend home court against the out-of-left-field UTSA Roadrunners (14-11 overall, 7-5 C-USA) at 8:00PM ET / 7:00PM CT on beIN SPORTS. UTSA has come on strong in the last couple of weeks with an impressive four-game winning streak that includes a road victory at UAB - and home wins over Marshall and Western Kentucky. They struggled at UTEP on Saturday, but still managed to tough out a 63-59 road win against the Miners in a game where four of the five starters were freshmen and sophomores - they didn’t start a single senior. Conference USA Freshman of the Year shoo-in Jhivvan Jackson has been a revelation for the Roadrunners. The young guard currently sits at fifth in the conference in scoring (18.6 PPG) and third in three-point field goals (65) made. He’s won six Conference USA Freshman of the Week awards. Keaton Wallace has won Conference USA Freshman of the Week three more times - UTSA has accounted for more than half of those awards this season. Freshman sharpshooter Deon Lyle is making 44.1% from downtown. For head coach Steve Henson and his young squad, this season looks to be the program’s first winning campaign since UTSA joined Conference USA in 2013. Roadrunner fans are hoping that this is just the beginning. Old Dominion has been the dominant defensive force we expected coming into the conference schedule. They rank 8th in the country in points allowed (63.2 PPG) and have held opposing Conference USA teams under 70 points in their last seven games. In their double-digit road win on Saturday against Louisiana Tech, they forced 20 turnovers and held the Bulldogs to just 8 free throw attempts. The Monarchs are winners of 14 of their last 16 games dating back to December. Their only conference losses are to first-place Middle Tennessee (the back-to-back defending champions) and third-place Western Kentucky. 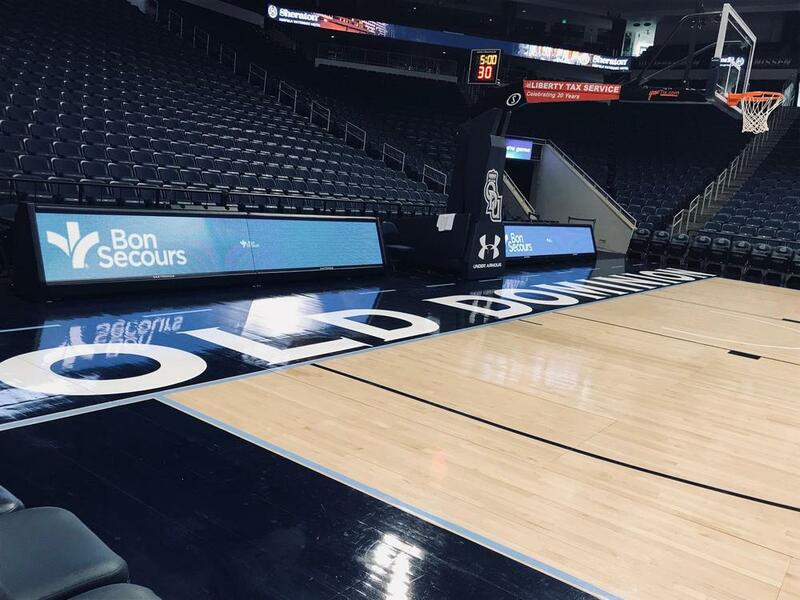 A win at home against one of the teams chasing them would go a long way towards securing a first-round bye for Old Dominion come tournament time. It’s hard to think of two teams that are more different. Old Dominion and UTSA represent two totally different schools of thought in basketball. The latter is the type of new school young, fast small-ball squad that is proliferating every level of basketball. The former is the old guard - experienced, tough, defensive teams that like winning ugly. For as good as Jackson has been in his first year, he can be to ball dominant. He leads the conference in usage rate, so if he has the ball, he’s usually shooting it. This can make the offense a little predictable at times. Considering how often he’s holding the ball, the fact that he’s averaging under two assists per game is something that will have to improve as his game develops. That’s something that filters down to the rest of the team as well. Despite how fast they play, they do not set each other up for easy baskets well enough. UTSA loves to run and push the tempo more than almost any other team in college basketball, so they can’t let the ball stick too long in one player’s hands. Giovanni Di Nicolao and Wallace have shown an ability to spread the ball around and hit big shots. They will need to be a big part of the offense in a game against a tough defensive team that takes good care of the ball. The Roadrunners have lived on easy transition buckets - those just won’t be there against a tough defensive team that takes care of the ball so well. UTSA loves the three-point shot. They average 28 three-point attempts per game - 13th best in the country and second only to Marshall in Conference USA. If there’s any hole the Old Dominion defense has, it’s their ability to defend the three. The Monarchs thrive defensively on their length, strength, and size. The Roadrunners will need to combat that with speed and skill. Despite playing large portions of the game with four guards on the court, UTSA has become a solid rebounding team. The last time they played on beIN SPORTS, they outrebounded Marshall by 20. They are ninth in the nation in rebounding - though those numbers are a bit skewed by how fast they play. During their four-game winning streak, they’ve beaten teams on the glass by 10 rebounds per game. The Monarchs are not as dominant offensively, but what they lack in scoring pyrotechnics, they make up for in balance. They don’t have a single player ranked in the top ten in scoring, but they do have 4 starters averaging 12 points or more per game. Old Dominion distributes the ball well - they rank fourth in the conference in assists (15.0 APG) despite playing a significantly slower pace than most. They also turn the ball over just 10.5 times per game - good for the 11th best mark in the country. Junior guards Ahmad Caver and B.J. Stith are the straws that stir the drink for the Monarchs on offense - both average over 14 points per game. Caver leads Conference USA and is second in the country with a grueling 38.4 minutes a night - there are 40 minutes in a college basketball game. He is also the second-best assist man (6.2 APG) in Conference USA. You’re going to see a lot of him on Thursday night. Stith provides a much-needed shooting presence - he makes 41.2% of his shots from downtown. Beyond Stith, the Monarchs do not have a good shooter in the rotation. They rely on his ability to knock down shots in order to keep the paint from getting too clogged up and take play-creation pressure off of Caver. Typically, the Monarchs are a very good rebounding team, but they have been out-rebounded in each of their last 4 games. With their size and experience advantage, you’d expect them to change that against a smaller, younger UTSA squad. Old Dominion definitely has the experience advantage. The Monarchs start three juniors and two seniors - all of whom had starting experience entering the season. The rotation goes about seven players deep, so head coach Jeff Jones has shown a whole lot of faith in his veteran lineup. If there’s any downside, it’s that the starters do play a lot of minutes - but it really hasn’t been a problem thus far.